Should you include your parents in employer’s group health insurance? An Islamist girls’ boarding school which taught pupils that men could beat women and gay people should be killed is facing closure after a pupil exposed its sharia-inspired rules. Aliyah Saleem was expelled in front of the entire study body at Jamia Al Hudaa girls’ school in Nottingham in 2006. She was accused of “narcissism” for owning a disposable camera, and publicly humiliated as a part of her punishment. 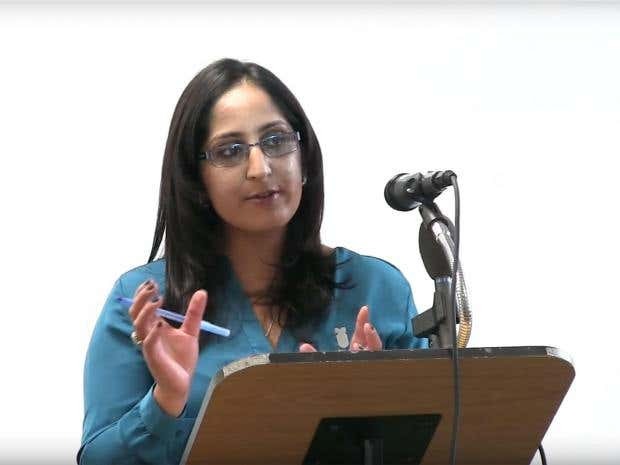 Following her expulsion, Ms Saleem spoke out about her treatment at the school, saying that pupils were taught no geography, history, art, sport or music, but were instead subject to extremist views. Students were taught that the death sentence could be given to gay men and that Jews and Christians made Allah angry. Speaking to The Times under a pseudonym in 2014, Ms Saleem spoke of how she was made to feel isolated and shut off from society – visits into town being banned unless it was to see a doctor or dentist. She said she left school anti-Semitic and unable to live within British society. Two years on, Jamia Al Hudaa has been instructed to close its boarding facilities after an Ofsted inspection found there was “inadequacies” in safeguarding the pupils, which included poorly trained staff and a culture of bullying. The Times reported that since 85 per cent of the school’s pupils are boarders, it will effectively be forced to close. Parents have been instructed to collect their daughters from the school on October 18. The Ofsted inspection confirmed the school does not promote “British values” and allows pupils to access controversial literature by authors who have been barred from entering the UK. Ms Saleem, who is now 27, wrote in a blogpost that she did not think the schools watchdog had done enough. She said: “There is still much to be done in regards to this school and all independent schools which have the power to immensely limit the curriculum taught. “I believe that children who attend such schools deserve so much more from the government, and an apology would be a good place to start. Opened in 1996, Jamia Al Hudaa has around 200 boarders and is run on fundamentalist Deobandi lines. This year only 25 per cent of its pupils achieved five A*-C GCSE grades, compared to the national average of 53 per cent. The school been approached for comment.